« Does it Scare You? Then do it! First Day Hike at Palo Duro Canyon. When it comes to making New Year resolutions, some folks are all talk. And then, there are other people walk their talk. For the past several years, the folks who walk their talk have been using the New Year as an excuse to bust a move on state park trails during First Day Hike events. First Day Hikes is a nationwide initiative that Texas State Parks has been participating in for the last several years. Thomas Wilhelm, with state parks. He says most state parks throughout Texas host First Day Hike Events. 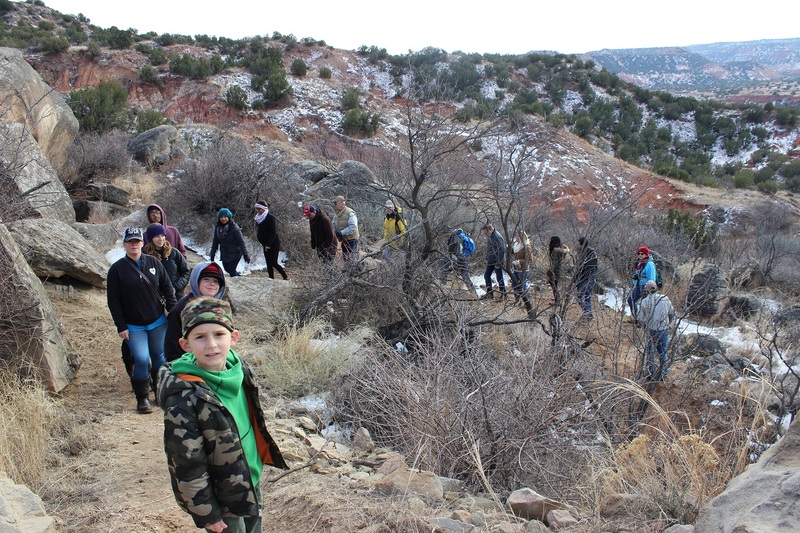 First days hikes have become a great way for Texans to begin the New Year in a healthy fashion. Essentially, it’s the concept of getting outside on January first, and doing something to kick the year off right. So, almost all of our parks have some sort of first day hike. A few of our parks take it a unique way. But many of our parks do have those first day hikes. And they’re, of course, guided hikes with a park ranger. And it’s just a way to start the year off right on the good foot. Literally. Find First Day Hike events at texasstateparks.org. While you’re there check out other healthy opportunities like yoga in the woods, women only hikes, hikes with shelter dogs, and more. That’s our show for today… We record our series at the Block House in Austin, Texas…Joel Block engineers our program. 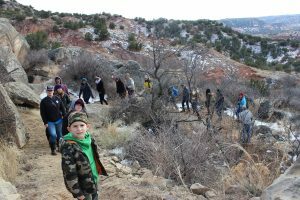 This entry was posted on Thursday, December 20th, 2018 at 12:00 am	and is filed under Events, First Day Hikes, State Parks. You can follow any responses to this entry through the RSS 2.0 feed. You can skip to the end and leave a response. Pinging is currently not allowed.